Templepatrick direction. What car have you? Theres an Irish S2000 Owners page on FB, a useful site aswel as on here. Lots of knowledge and experience on both sites. Hi, I’m a new owner. Picked up my 2005 Silverstone S2000 last weekend. It’s in nice condition with just 18,000 miles. I’ll be gently improving the car to unlock it’s potential over coming months so expect a few posts asking for guidance along the way. Last edited by dommorton; 09-16-2018 at 04:27 AM. Hi sam it’s 99 red s2000. About 100k but very tight ! have new wheels coming so will get a few pics online at some stage. Some experience with them working on a friends in the past. No stranger to Hondas, this being the 10th i've owned, various Civics, Del sols, CRXs, Integra's and a CRV. With my current track car being a 96 Spec DC2. I'd been on the hunt for a weekend car for a while (the Mrs isn't keen on runs in the DC2 ). S2000 fits the bill perfectly. Plan is to restore it back to its former glory. Clean up the underside, powder coat subframes/suspension/wheels, new bushes/geo bolts, new roof, fresh lick of paint. Last edited by morgan100; 09-28-2018 at 07:30 PM. 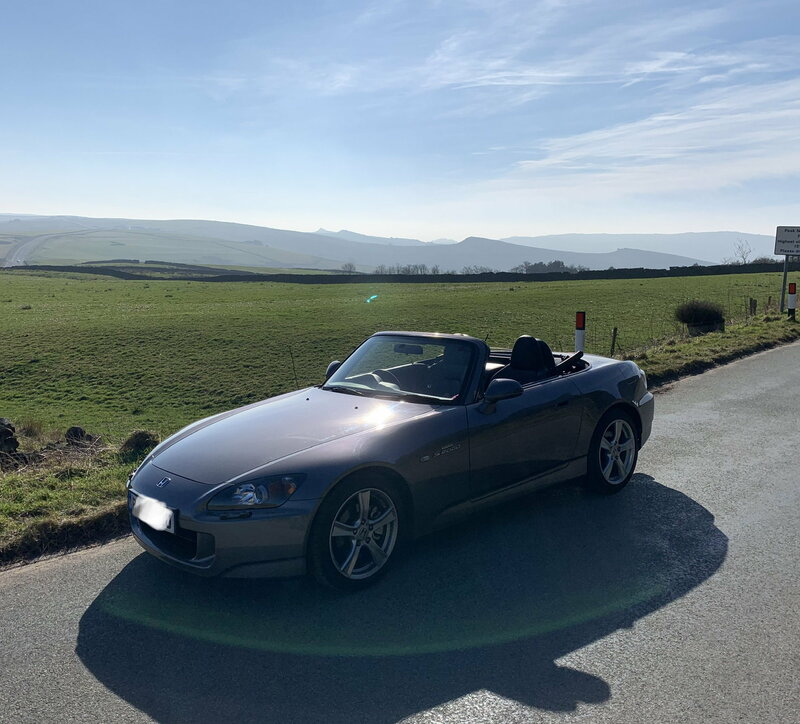 New S2000 owner over here in Leicestershire. Bought my imported Silverstone AP1 a few weeks ago and loving every second! My budget wasn't much so car needs some much need TLC, I've started with a few modifications like Eibach Pro springs, Test pipe, drilled brake discs with new pads. Need some recommendations on places to get my paintwork sorted in the East Midlands area? Had my S2000 for a few years now, but recently signed up as paid member. Im from Bournemouth, but been on few road trips to Scotland and some of Europe in he S2000. 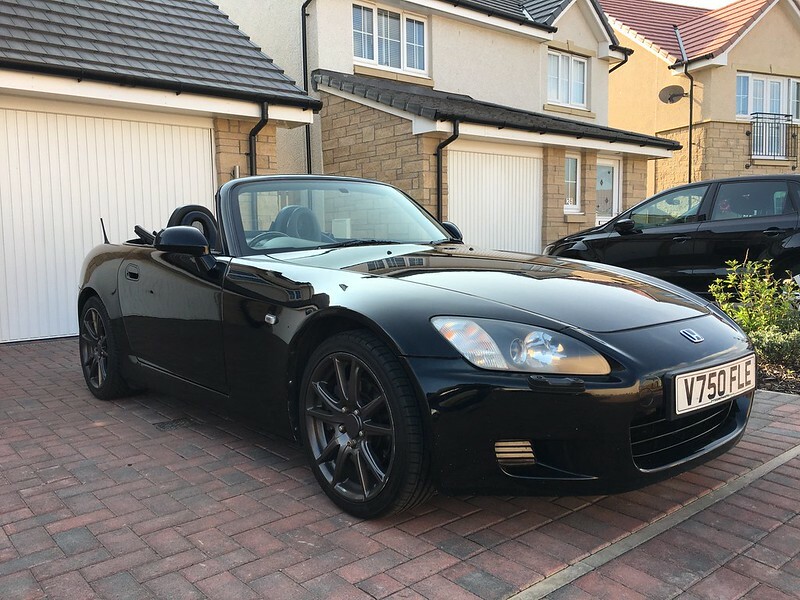 Ive been looking forward to getting an S2000 since I first saw it on Top Gear magazine front cover in the summer of 1999. Almost 20 years later I finally picked one up, 2008 49,000 miles as below. Ive been put off buying one as they get older because I’m not mechanically experienced at all. All those little jobs that you guys mention...I can’t do, so really appreciate any advice and recommendations for good garages in the Midlands. The main issue I’ve noticed so far is a slightly heavy clutch, but apart from that it’s great. Ill be a fully paid up member in April when the new year kicks off and might even venture to a meet. 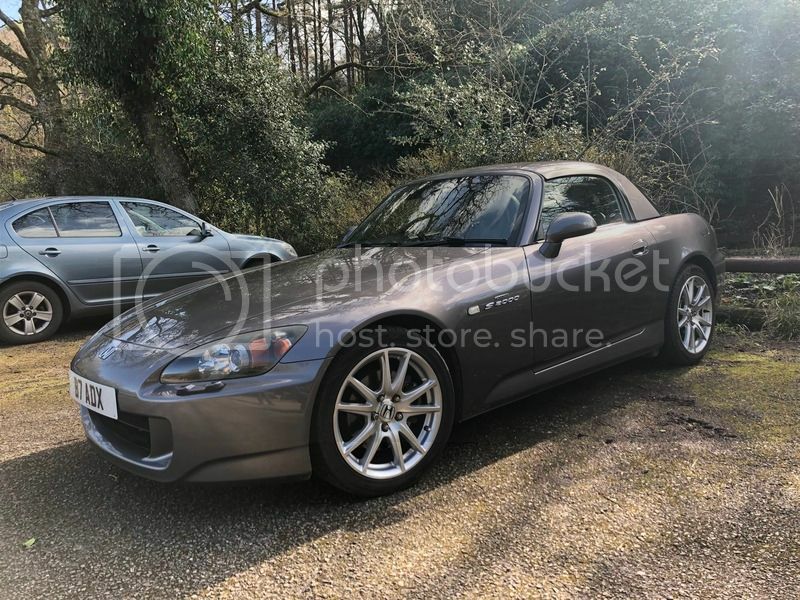 Just bought a 2002 s2000 gt in silverstone grey today..
over the moon with it..